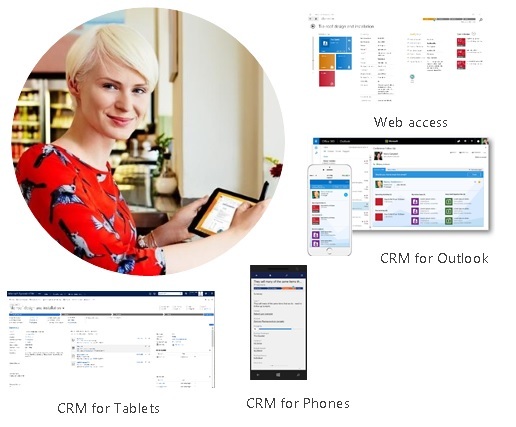 Microsoft CRM enables businesses to maximize opportunities to win & keep customers. In a connected world, delivering a great customer experience is more essential than ever to differentiating your business, building loyalty, and maintaining your reputation. This is where CRM solutions come in, but a lot of businesses see CRM as too complex. With Microsoft Dynamics CRM Online it doesn’t have to be complicated. It’s easier than you think. Employees catch on quickly with easy, familiar tools. You don’t have to worry about installing new software and systems. It’s all done for you and is backed by Microsoft. It’s affordable. It’s in the cloud, which means no large capital expense for servers and software. You just turn it on and pay a low monthly subscription. Mobile apps are included too. It’s time. Businesses who are up and running on Dynamics CRM never look back. They enjoy immediate gains in productivity, sales, and competitive advantage from customer service excellence.